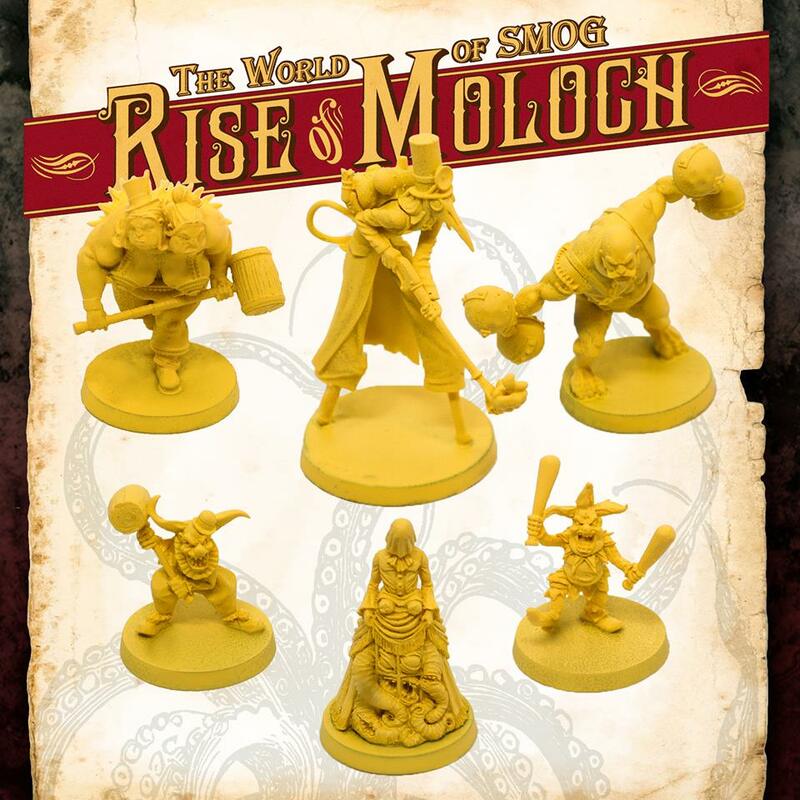 CMON is known for their miniatures in their games. I mean, the M stands for "Mini." 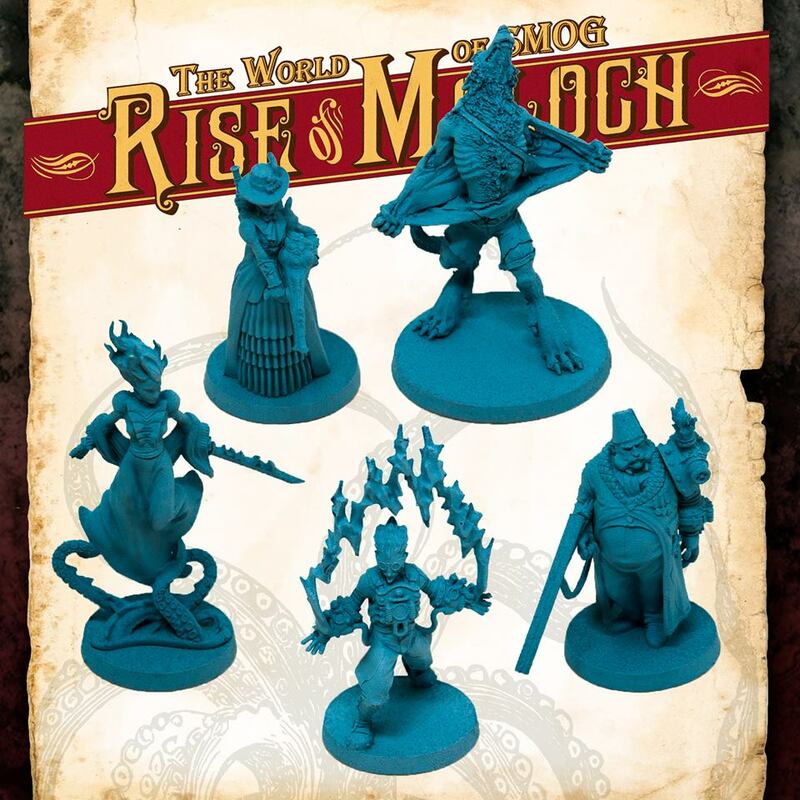 In The World of Smog: Rise of Moloch, the game will come with plenty of miniatures. But how do you know they're going to be the C (that is to say, "Cool")? Well, you get a preview of them here. There you have the three main factions of the game. 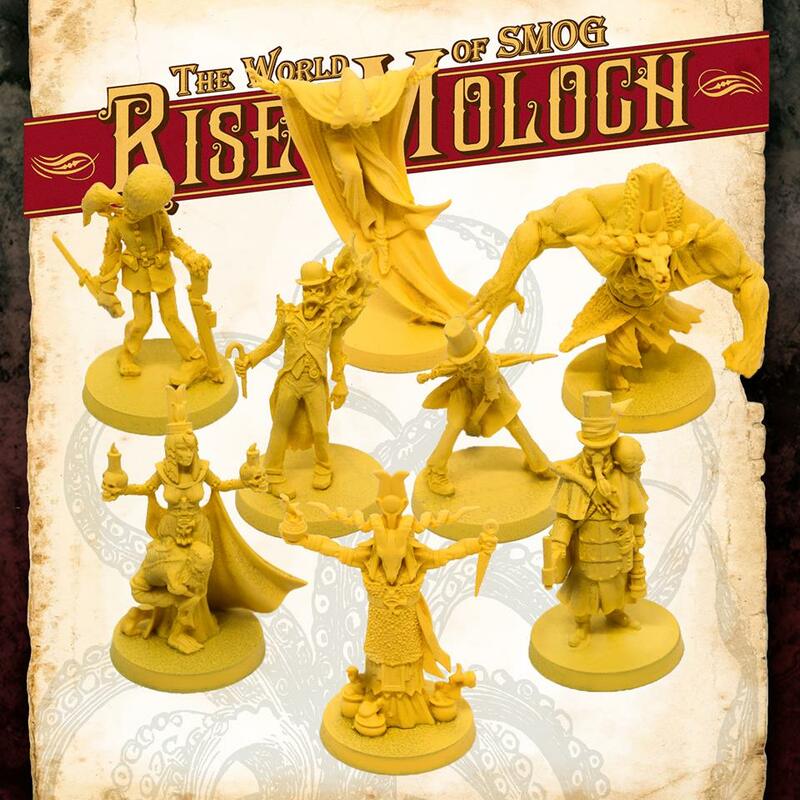 In Yellow, you have the Cult, the group that's actually trying to bring Moloch back to the world. Then there's the Grotesque Company Circus. They're tired of living in the dark and smokey places and want to get more respect from the Londoners. Finally, in blue, you have the Gentlemen of the Unicorn Club. They are trying to make sure that the Queen stays in power and ancient fire demons aren't once more loosed on the Earth.